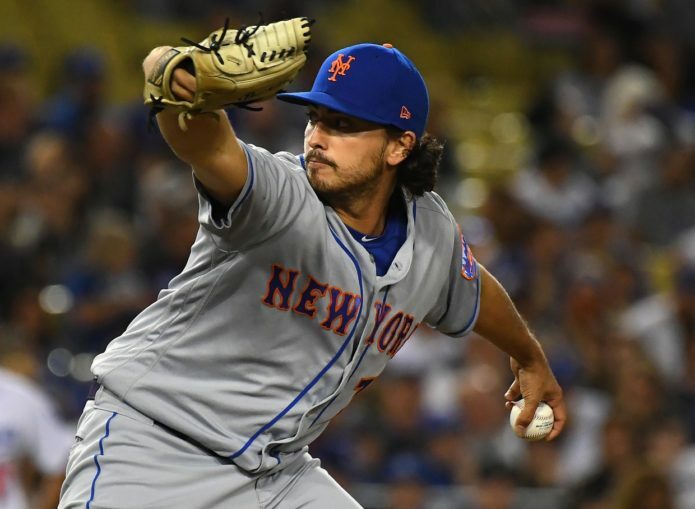 As Jacob deGrom continues to negotiate for a long-term extension from the New York Mets before Opening Day, the reigning National League Cy Young winner has an ally in Noah Syndergaard. Speaking to reporters Sunday, Syndergaard wants the Mets to "quit all this fuss" and get deGrom's deal done. Mike Puma of the New York Post reported last month deGrom informed the Mets he won't negotiate after the regular season begins on March 28. With just four days remaining before the season starts, deGrom is losing optimism without completely closing the door. "Probably not as [optimistic]," he told MLB.com's Anthony DiComo. "We'll just have to see." The Mets are operating from a position of power right now. DeGrom has one more year of arbitration before becoming a free agent. His age is going to be a factor in how long a potential deal is. The two-time All-Star will be 31 after the 2020 season. New York will pay deGrom $17 million in 2019, per Spotrac. His salary makes him tied for the 20th-highest-paid pitcher in Major League Baseball this season. DeGrom's on-field performance warrants him being paid like one of the best pitchers in Major League Baseball. He led MLB with a 1.70 ERA in 2018, in addition to setting career highs with 217 innings, 269 strikeouts and 0.912 WHIP.